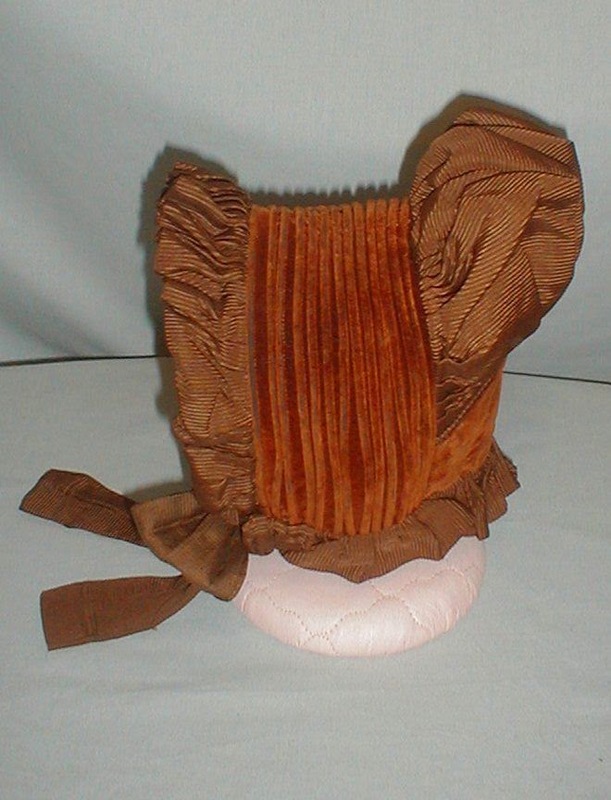 An adorable child’s 1870-1880 brown silk faille and brown velvet bonnet. 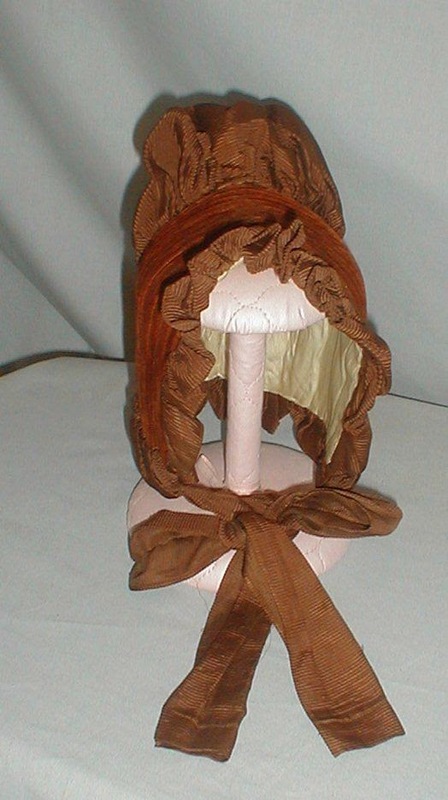 The bonnet is lined with white silk and has brown silk faille chin ties. It is in very good condition. There is some ling soiling on the inside lining. There is some very minor wear to the velvet and one chin tie needs to be re-stitched. 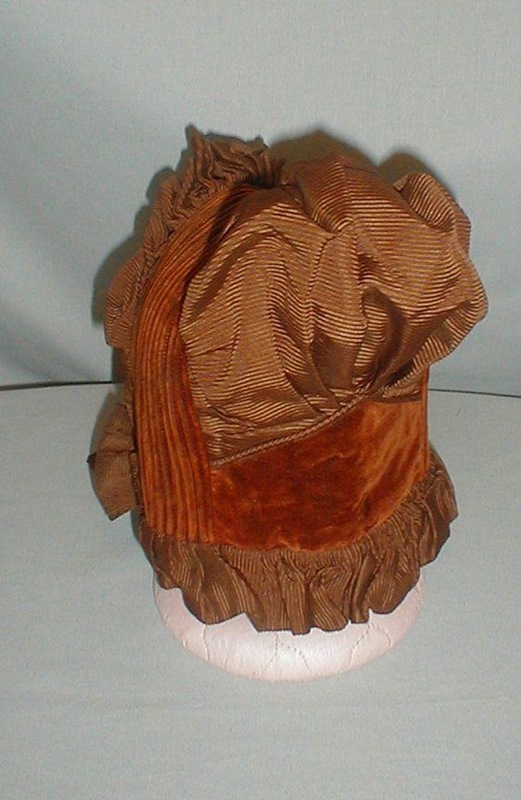 I have no idea why the seller believes this is a bustle era bonnet. The puffy top like that is typically only seen in the Romantic era, like this cotton bonnet. The puffy top was to accommodate the rather elaborate hairstyles of the time.